For some of you, when you hear the word “PROFIBUS” you might cringe because of the problems you may have faced in the past with this fieldbus. When I hear PROFIBUS, I hear adventure, a new challenge and a new solution. 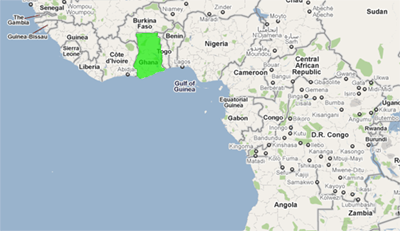 I recently travelled to an African country known for its happy people and great chocolate. 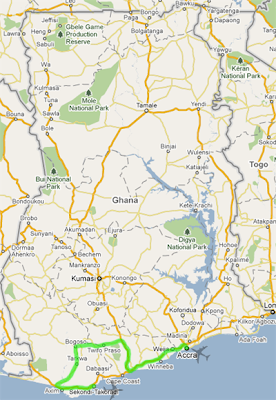 That’s right, you guessed it…Ghana! Situated on the north west of Africa along the Gulf of Guinea, it’s a tropical forest teaming with gigantic pot holes (at least the route that I travelled was!). The next morning,after 20 hours of travel and 4 hours of sleep, I was on my way to try and solve the elusive problem that was plaguing this plant. The problem was described to me as “three devices keep stopping and then we have to manually restart them”. After looking at the voltage levels, signal waveforms, message trace, statistics, etc on my trusty PROCENTEC ProfiTrace my conclusion was that the messages are getting corrupted by noise. Unfortunately there is not too much that can be done in terms of a permanent plant fix when the plant can't be stopped for a reasonable amount of time due to production pressures but the short term solution was to reduce the network speed and increase the retry limit to 3 (which was currently 1) to mitigate the damage. The retry limit is simply the amount of times the master will resend the same message to the same slave before it will flag that device as “not configured” and move on to the next slave. When this limit is exceeded the SCADA will report something like “lost communications to the device” because the device is not in data exchange anymore and often this results in the undesired “plant trip”. The correct solution will be to rewire the network, keeping the PROFIBUS cable away from the high voltage cables. Where that is not possible they will have to run the cables in an earthed steel conduit. One of the problems they are facing is corrupted messages and since the network is laid out in a line topology, every message that passes that noisy area gets affected. A better solution is to create a star topology using a multi-channel repeater such as the PROCENTEC Profihub. This will reduce the amount of messages getting affected and allow the technicians to isolate which segment is causing problems. The good news is I left the plant in a “better” running state and post their successful training (yes they all past the installer and engineers course – despite the trainer) with better knowledge on what and what not to do with PROFIBUS..
And I know Jono is off to Abu Dhabi tomorrow to audit an Oil Rig, a first for our PCC!